Sometimes, a workweek can drag on forever. By Friday, Tuesday seems like it was weeks ago. Other times, you blink your eyes and wonder, “Man, when did it become May 2013? 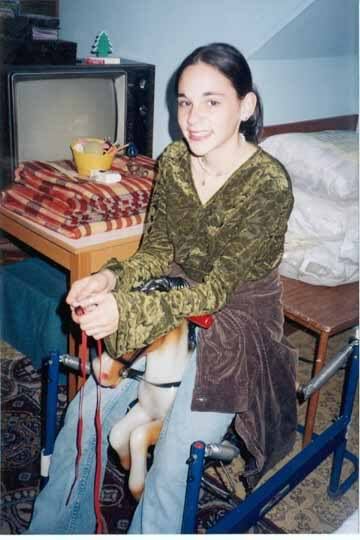 Did I miss January through April?” Today, it simultaneously feels like it’s been minutes, days, months, and years since May 17, 1998, the day my beautiful friend Cassandra Beth Montemurro died at the young age of 14. Over the past 15 years, I’ve attended and graduated from high school, attended and graduated from college, lived in “the city,” started, stopped, and re-started a podcast, fallen in love, moved to Raleigh, gotten married, watched friends get married, watched friends have babies, gone back to school, and changed jobs several times. I’ve visited Hawaii and London and Mexico. I’ve attended six San Diego Comic-Cons. I’ve struggled to figure out who I am as a person. I’ve had so many life experiences that I am so grateful for. Even in my darkest moments, remembering Cassie has always reminded me to be grateful to have had the chance to do and feel everything I’ve done and felt because life is a gift. I have never, ever forgotten Cassie. Beautiful, talented Cassie, the only girl who could sing any note you asked her to at perfect pitch in 5th grade. Intelligent, compassionate Cassie, the only friend who bought me a balloon for my birthday in 7th grade. Friendly, level-headed Cassie, with a smile and quiet grace inherited from her mother. She lent me a book at a sleepover party for her 14th birthday. I still have that book. I never got to give it back to her. It feels like 15 years ago that I heard the devastating rumor on May 18 as I was about to leave for dance class, yet it feels like yesterday when I went to school on May 19 and saw our friend Stephanie, who confirmed that news of her death was not greatly exaggerated. I wish I had something more profound to say about such a profound girl. It’s taken me 15 years to even put that much down on “paper.” Rest in Peace, CBM. You’re still nothing ever so common. I cannot believe it’s been 15 years. This entry was posted in cbm, Friends, Memories, Reflecting/emo and tagged cbm. Bookmark the permalink.